Facebook user Chu Teck Fah had asked his maid to take a taxi from Changi General Hospital to Edgefield Plains in Punggol on Nov 4 but was shocked by how much the fare was. When he looked closely at the receipt, he noticed that the distance run was 26.5km. He posted a photo of the receipt to Singapore Taxi Driver's Facebook group and wrote: "How this driver go by (sic)? 26.5km?" 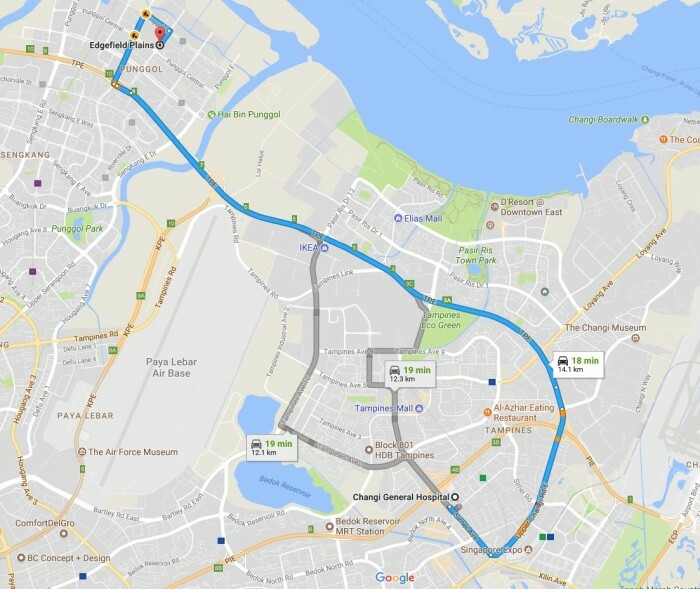 When Stomp used Google Maps to check the distance from CGH to Edgefield Plains, the distance stated is just 12.1km by way of Tampines Expressway (TPE) via Tampines Avenue 10, or 14.1km via TPE from Upper Changi Road East. On Nov 20, Chu posted a response that he allegedly received from ComfortDelGro in the comments. However, Stomp cannot verify it at this time. Stomp has reached out to ComfortDelGro for comment.